Karen's Coconut Cake is a blend of yellow cake, several creams, and choice ingredients that make the cake extremely moist and the icing uniquely light, smooth and flavorful. 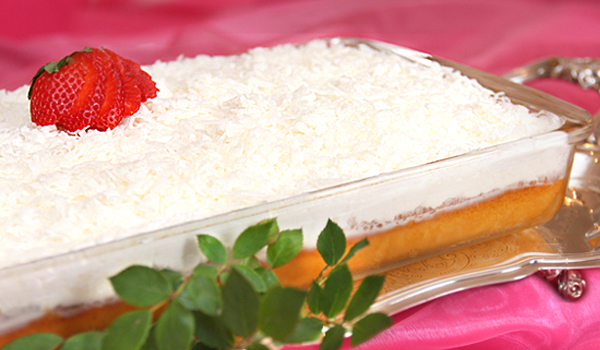 Karen's Coconut Cake is a single layer for easy serving and refrigeration storage. Depending on the size of the slice, this cake has fed as many as 24 people at food tastings or as few as 8 very hungry guests. 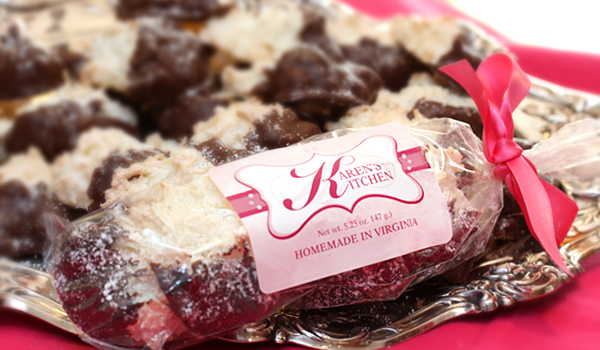 Karen's Coconut Cookies are a wonderful choice for that special treat or as a "Thank You" gift for someone special. By the dozen they are a wonderful dessert choice for your family or to add a gourmet touch to any party! Karen's Coconut Cake is by far the best cake I have ever eaten. I am a chocolate lover but I prefer Karen's Coconut Cake to any other cake or dessert. It's a must try and a real crowd pleaser!